1 For the mango: Peel, remove the pit and dice. Place the mango in a blender along with the yogurt, water, lemon juice and sugar and puree. Serve very cold. 2 For the strawberry: Rinse and hull strawberries (or thaw) and halve. Place the strawberries in a blender along with the yogurt, water, lemon juice and sugar and puree. Serve very cold. 3 For the papaya: Peel, halve, remove the seeds and cut flesh into cubes. Place the papaya in a blender along with the yogurt, water, lemon juice and sugar and puree. Serve very cold. 4 For the mixed berries: rinse or thaw berries and puree in a blender with the yogurt, water, lemon juice and sugar. Serve cold. 5 For the avocado: Peel, halve, remove the pit and dice the flesh. 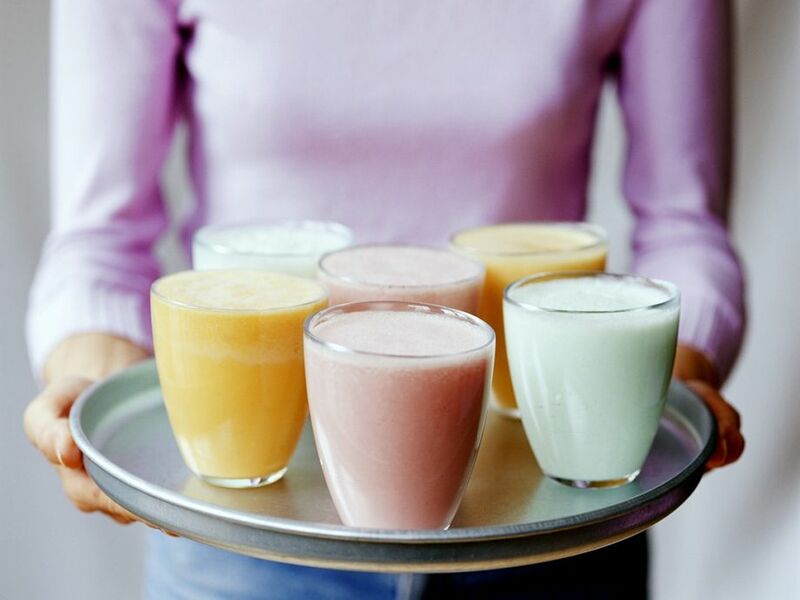 Puree in a blender with the yogurt, water and lemon juice. Season with salt, pepper and some chili. Serve cold.